We are happy to share the news that retail industry veteran John Strain has joined Salesforce as Senior Vice President of Retail and Consumer Goods. John joins us from Gap Inc., Williams Sonoma, and Total Wine & More. (His favorite wine, in case you’re wondering, is pinot noir.) In his new role, he will lead the team to build strategies and partnerships around personalization, relevance, and engagement. We sat down with John to learn more about what makes him tick and what he has in store for Salesforce. What compelled you to work in retail? The fact that it was tactile. That you could touch it, see it, feel it. In some ways, it’s straightforward, but because dynamics like trends, consumers, demographics, competitors, and the market are always changing, it’s also quite complex. It’s about understanding how all the pieces fit together. Today, it’s about millennials, but it wasn’t that long ago that it was all about Gen X. We need an adaptive strategy in retail because it changes every single day. That’s exciting to me. What were the top-of-mind topics for retailers early in your career versus now? At the start of my retail career in 1989, the physical embodiment of retail was already shifting. Specialty stores and department stores dominated. But, Walmart changed the environment with aggressive pricing and great logistics. Founder Sam Walton’s model enabled employees to stock products at night, and leveraged greeters out front to welcome the customers and make them feel like family. That innovative thinking — blending operational optimization with customer centricity — is what separated the leaders from the followers. Today, the topic that demands our attention is the “Amazon Effect.” There’s the fear that ecommerce will destroy store-based retail. I don’t think that’s the case at all. Everyone feels like they’re competing with Amazon on some level, but the competitive edge is found in the ability to be relevant and inspirational. Amazon offers everything, but it doesn’t promote a point of view — retailers that are able to bring inspiration and tell a story can successfully compete. You’ve been in leadership at some huge brands: Gap, Williams Sonoma, and Total Wine & More. What kept you up at night when you were in those roles? At Gap Inc. (2004 – 2006), our challenge was to build an experience that would scale and get a technology platform in place that could be as dynamic as we wanted it to be. It needed to adapt when we introduced new functionality or expanded to a new country for example. At Williams Sonoma (2006 – 2017), our main goal was to make ecommerce and stores work together. Optimizing multi-channel, and taking advantage of each channel for the strengths they bring, whether that was store, website, mobile, social, email, or catalog was paramount. It was all about using multi-channel in a way that was consistent across all touchpoints. At Total Wine & More (2018), we saw an opportunity around personalization. How do you tell a story around something so subjective? Two people who love wine can have very different preferences and palates. But it’s also an opportunity to tell a story about the vintner, the winery, the history, or the story of the grape from vine to wine. What keeps me up night now is relevance. Engaging content that is relevant across all touchpoints is the key. That’s a priority for me. What’s the biggest opportunity for retailers currently? There’s a quote I love from Geoffrey Moore who wrote “Crossing the Chasm.” He said the biggest source of waste are differentiation projects that don’t go far enough, and parity projects that go too far. At the end of the day, you have to be able to tell the difference and then go all in with the route you choose to take. Today, our opportunities are around customer centricity through contextual selling, multi-channel optimization, and targeted and personalized engagement synchronized across marketing channels. 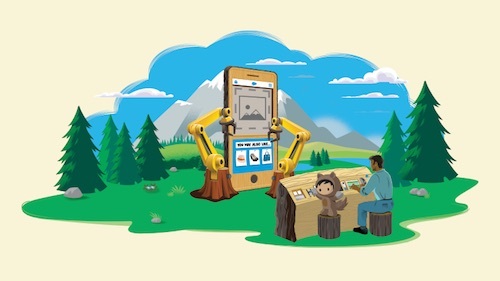 What excites you about coming to Salesforce and what are you most optimistic about in terms of helping our customers succeed? First, the brand. 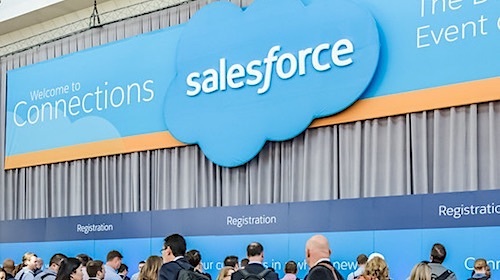 Salesforce has a culture of innovation. Since day one, we’ve been a disruptor and the first at-scale cloud company, and have reshaped the entire software industry. Second, the offering. 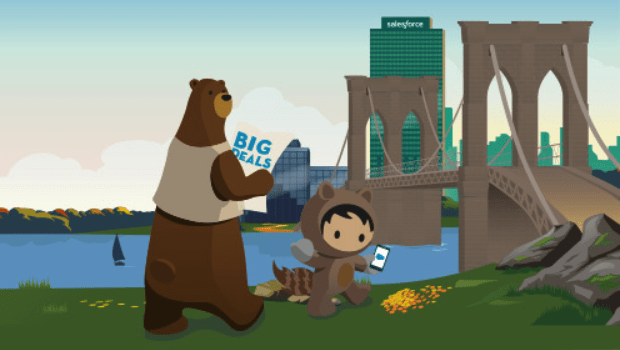 Nobody has the assets Salesforce has in the context of retail across all channels. The fact that we have those components to leverage and drive the narrative in terms of personalization, relevance and engagement is exciting to me. I will have an opportunity to leverage a lot of my background in terms of product management, technology and success enablement, and I love that I get to tap into it from a retail perspective. Equality and giving back are key values for Salesforce. Do you have a favorite social cause or charity? 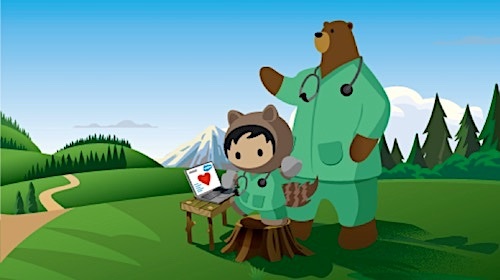 I love the values and the prioritization placed on volunteering at Salesforce. For me, I’m all about the kids. We lost my niece to cancer, so UCSF Benioff Children’s Hospital matters greatly to me, and I’m a big fan of Ronald McDonald House. With years of experience at leading retailers, John brings a customer-first perspective to retail and consumer goods, and knows what it takes to succeed. We’re looking forward to the expertise he’ll bring to our customers here at Salesforce.